We've had about two months since the last Urban Outfitters scandal, which means it's high time for a new controversy starring the mega-retailer. But this time, the trouble is more than offensive — it's poisonous! 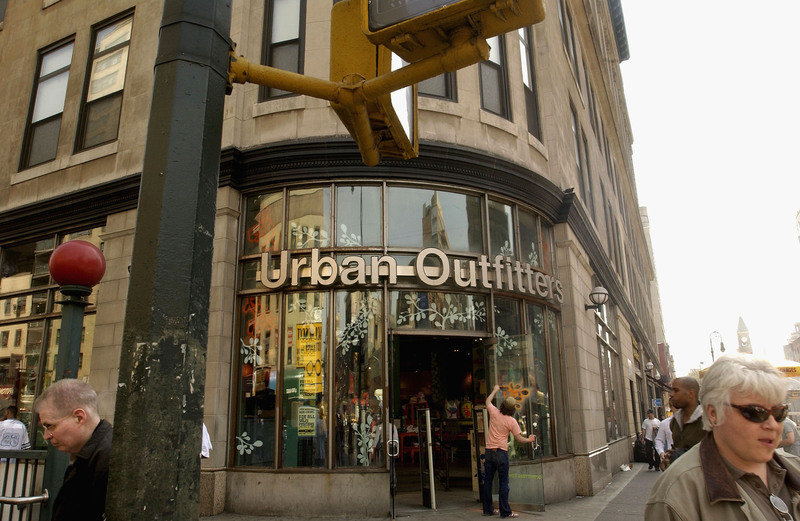 Urban Outfitters is selling products containing lead, which is a well-known toxin. An anonymous tipster alerted Jezebel of this news via an email with the subject header "Urban Outfitters belt composition: leather, mixed metal, nickel... lead." Upon further investigation, Jezebel writer Phoenix Tso found that a quick search on the Urban Outfitters website brought up 76 products that contained the element. 76! That is no small number. When I searched the site myself for "products with lead," I got 33 results. When I typed just "lead," I was taken to a document about the California Transparency in Supply Chains Act. Some of our products such as dinnerware, glassware, wallets, handbags, purses, clutches, totes, clothing, accessories, or shoes made of vinyl or imitation leather may contain lead. In accordance with Proposition 65, we issue the following warning to our California customers: "The materials used on the exterior of this product contain lead, a chemical known to the State of California to cause birth defects or other reproductive harm." Exposure to lead is especially harmful to children, and there is currently no stated "safe" amount of lead exposure. The Center for Environmental Health tells us that being around lead has been linked to a wide range of issues in adults such as "higher rates of infertility in women, an increased risk of heart attacks, strokes, and high blood pressure, among other health problems." Lead is especially harmful for pregnant women, since exposure during pregnancy "could have 'lasting and possibly permanent effects' on a child’s IQ." That being said, we're glad Urban Outfitters is being up-front about some of their products containing lead so that consumers may avoid those products should they choose. Tso suggests that Urban could take this transparency a step further by including information about how to handle products containing lead without risking exposure to the toxin. We'd certainly support a move like that, but until then here is some information on lead from the New York Department of Health.